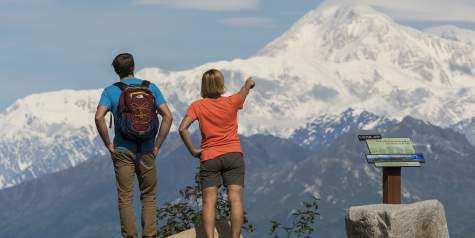 Talkeetna and the entire Susitna Valley provide amazing Denali experiences that can be had in a day trip from Anchorage or the core area of the Mat-Su Valley. 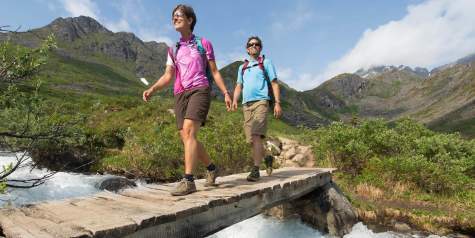 There are so many great things to do in the area, however, that you should consider staying another day - there are many quaint bed and breakfasts, cabins and hotels available in the area to turn your day trip into a weekend-long adventure. Post your photos using #UinMatSu to share your good times with others. 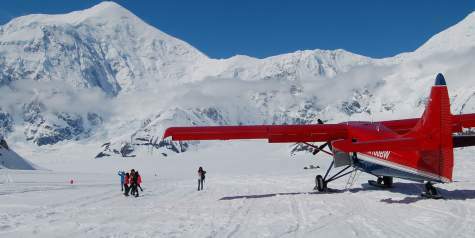 The best views of Denali and the entire Alaska Range can be found in Talkeetna and Denali State Park. In Talkeetna, the roadside pullout just before town is a great place for photos, as is the Denali Viewpoint South pullout at Mile 135 of the Parks Highway. Both spots are easily accessible and provide sweeping views of the Alaska Range. Don&apos;t just take a picture of the mountains, actually experience them! 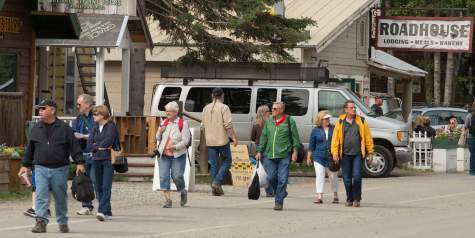 Talkeetna is a hub of activity and is a perfect base camp for visitors. Take a flightseeing trip and land on a glacier or a jet boat trip to learn about the Athabascan heritage. 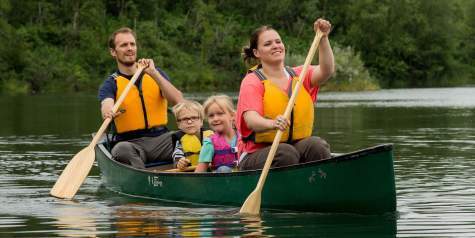 Rafting trips, ziplining and fishing are all options in Talkeetna as well. If you want to learn about the climbing history, there are no better stops than the Talkeetna Historical Society Museum or the Walter Harper Ranger Station. Downtown Talkeetna is the place to be on Fridays during the summer, as Live at 5 takes place in the Village Park, featuring some of Alaska&apos;s top musicians. Downtown is also home to many cafes, restaurants, a brewery and many shops that feature goods from local artists. When you shop and dine here, you really are keeping it local! 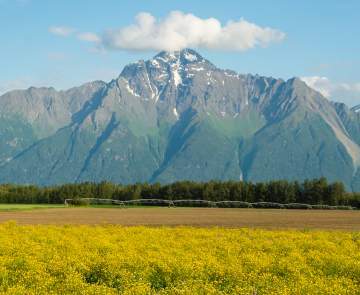 It&apos;s worth the trip to Talkeetna just to experience the growing foodie scene there. 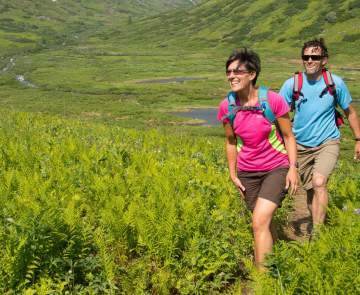 The Susitna Valley is filled with amazing hiking and camping opportunities. A local&apos;s favorite is the 3.5-mile groomed trail around X Lake at Talkeetna Lakes Park. 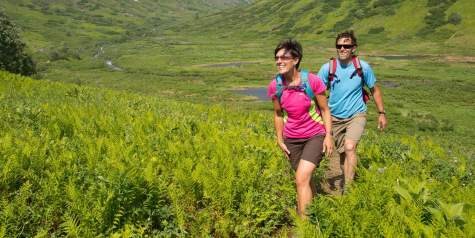 For a longer hike, try Kesugi Ridge in Denali State Park. For camping, you absolutely can&apos;t beat Alaska State Parks&apos; Kesugi Ken Campground, located at Mile 135.4 Parks Hwy. It&apos;s the newest state campground, and has 32 RV sites, 3 public use cabins, 10 tent sites, a ranger station and an interpretative center. A new 2-mile trail leads to Curry Ridge, and other ADA-compliant trails lead to great views of the Alaska Range.